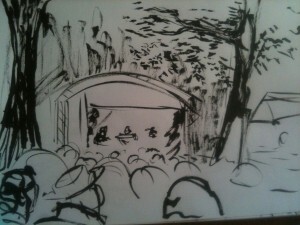 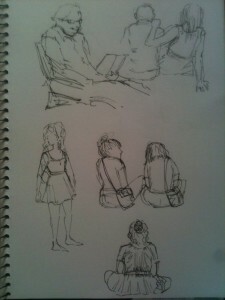 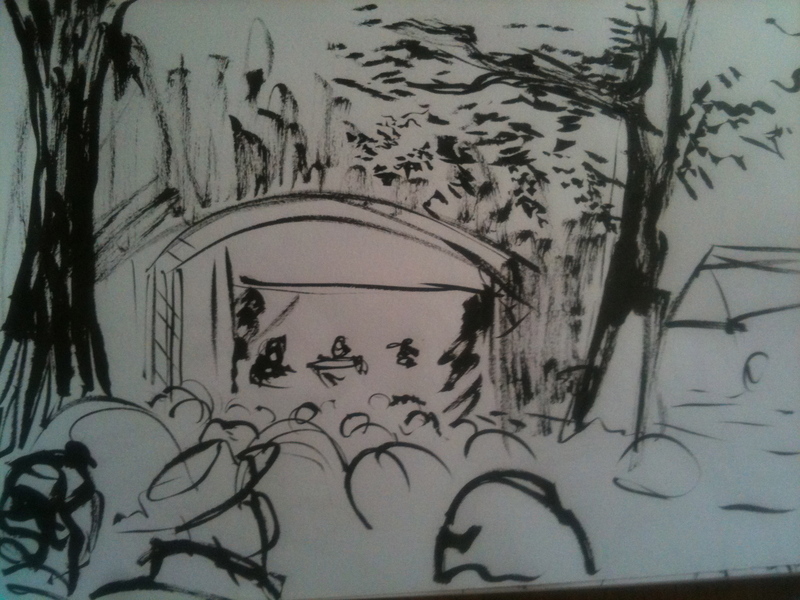 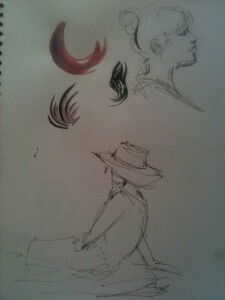 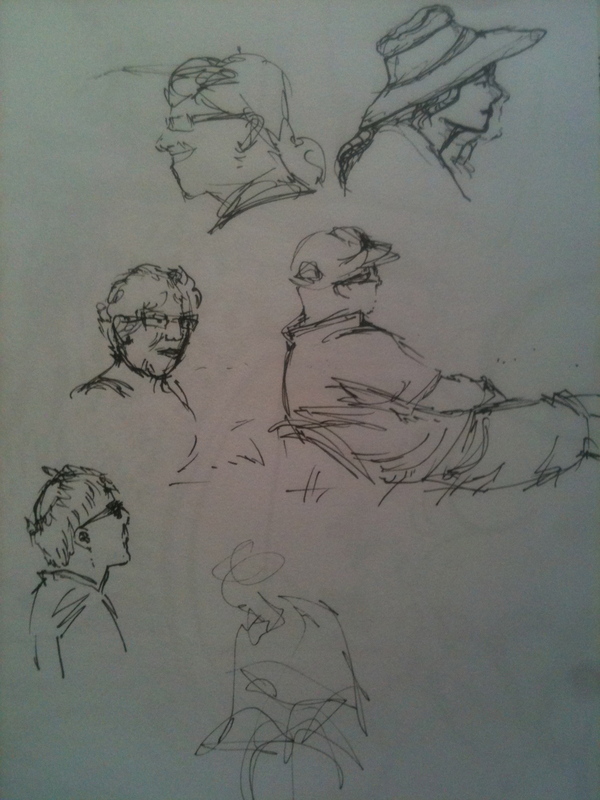 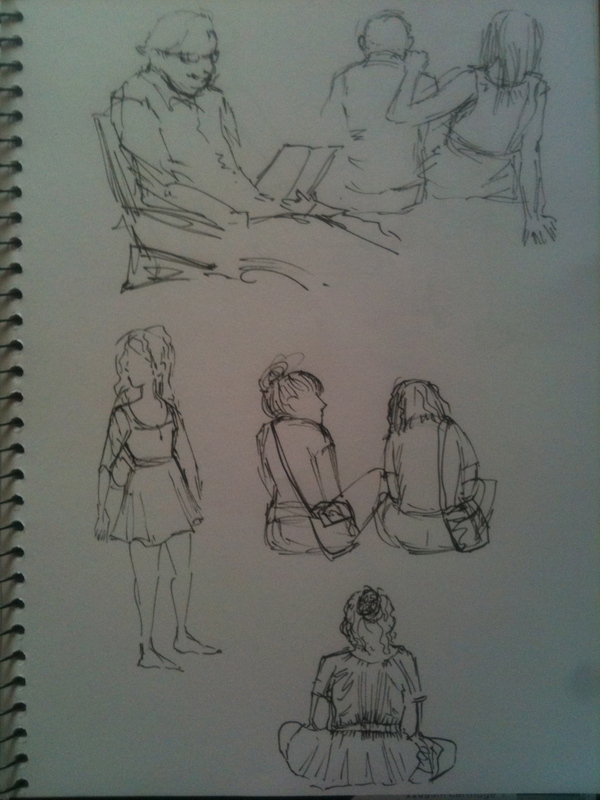 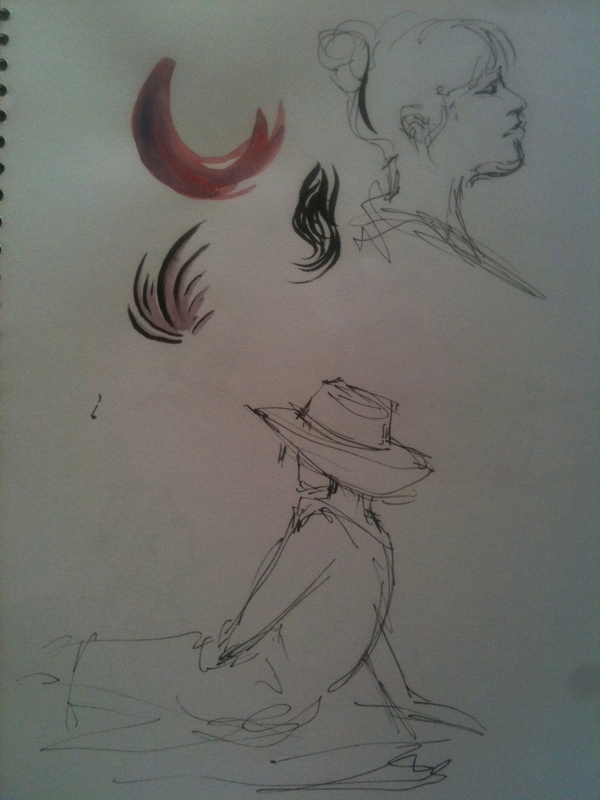 Here are some 2-10 minute drawings made during performances at Womad. 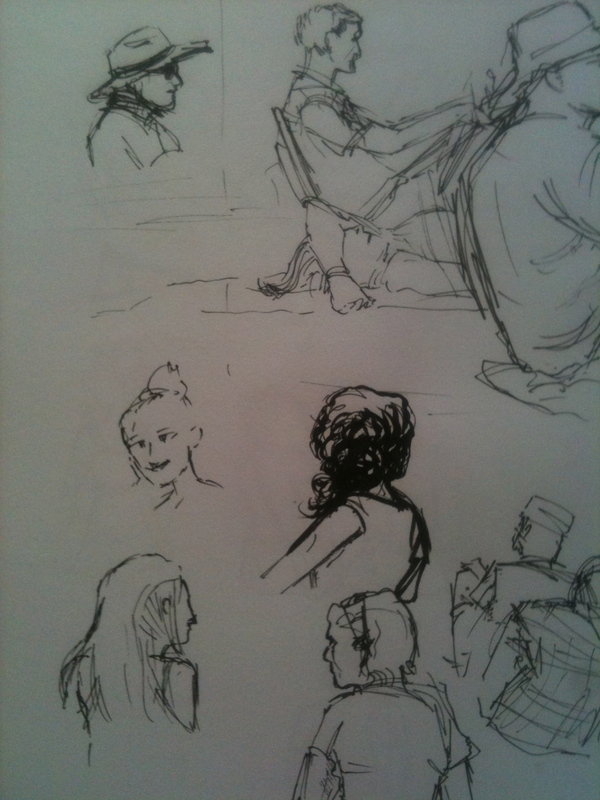 It’s always frustrating to eye a potential model for a few minutes, then have them move as soon as you start drawing them! A couple of these were finished after the person walked off. 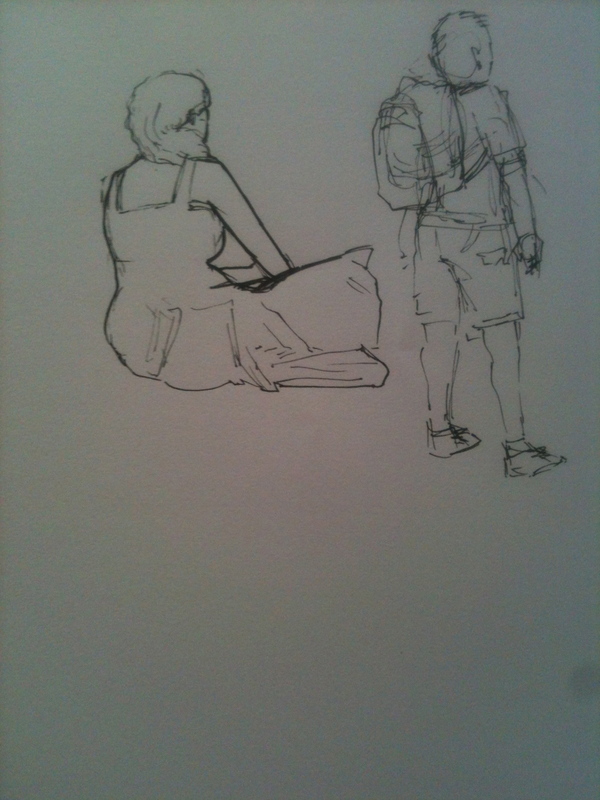 A performance ended just as I started another, so I quickly drew him before he packed up to leave.